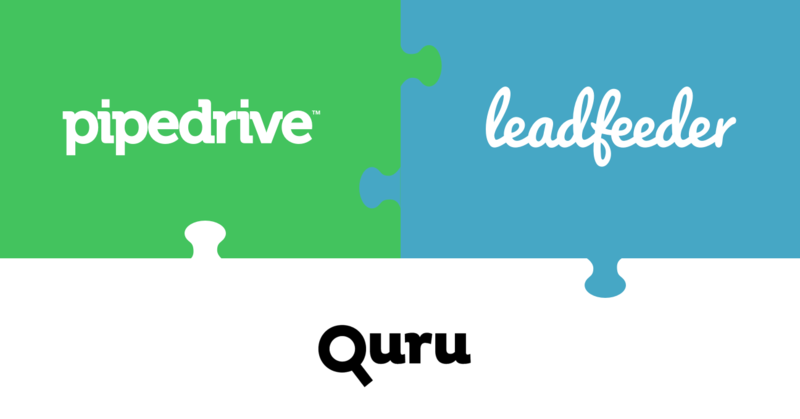 At Pipedrive, we’re not shy about promoting activities as a successful sales strategy. Not everyone agrees with this approach, but we think that a focus on sales activities is the smart way to grow a business; as a salesperson, you want your prospects to buy, but it can only be achieved by you taking action that leads them to buy. Similarly, as a sales manager, you want your salespeople to sell, but it’s only achieved by you doing something that leads them to sell and improve. However, while activities are important, they can be mismanaged. Sales managers can be distracted by too many metrics, assign vague goals to reps or mishandle a rep who may not need the same oversight as the rest of the sales team. Sales reps can let their inboxes dictate their schedules, get impatient and yearn for what they can’t control. 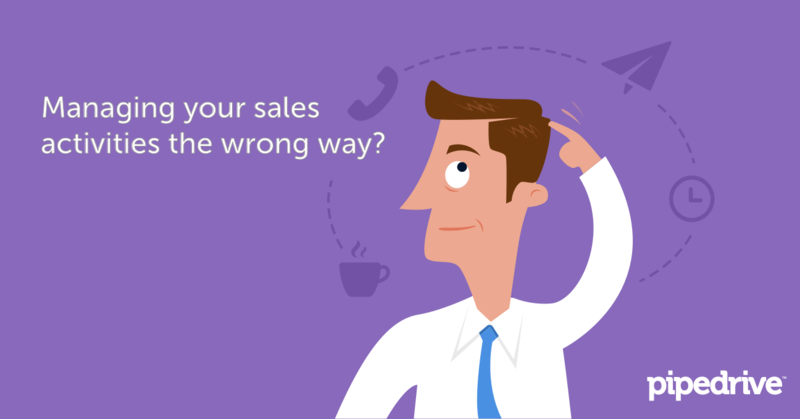 We asked some experts if there was a right way and a wrong way to manage activities in sales. While not all the experts are fans of setting activity goals, all of them agree that there are do's and don’ts when it comes to activities. There’s no getting around it: Sales is a numbers game. Pipedrive co-founder Urmas Purde maintains that once you understand your close ratio — the number of people who purchase from you, divided by the total number of people you contacted — you will be able to plan the number of activities you need to close a certain number of deals. “Let’s say I want to sell in-house training. I don’t need to be an Einstein to realize that not everyone buys that, but I need to write a certain amount of proposals first,” Purde said. To get one customer sold on this training, he said, you may need to contact 10 leads, have eight follow-up calls, four meetings and submit two proposals. This is what Jason Jordan, author of Cracking the Sales Management Code, refers to as “reverse-engineering success,” or starting with the outcome that you want, and then deciding exactly what you and your sales team need to do to achieve that goal. The first step to doing that is understanding your team’s close ratio (aka a conversion ratio). If this sounds like a daunting task, no worries. We have a calculator to assist you. Conversion metrics are important, but that’s not a license to pile more and more activities on your sales team. For example, a company might put 100 leads in the pipeline, and 20 might come out the other end as closed deals. To double their sales, that company might just tell its reps to put 200 leads in the Pipeline instead of 100. And while that may work, it will also burn out a sales team. So while paying attention to your metrics is important, it’s also important to make sure your reps have a manageable workload, and that you’re constantly developing them so that they can improve their closing percentage. It’s easy to fall down a rabbit hole when you’re concentrating on a specific activity. You may find yourself concentrating on a spreadsheet, examining sales metrics or a proposal for hours. Mark Hunter of The Sales Hunter recommends assigning a time slot to each activity, and sticking to it. If you plan to spend 10 minutes trying to generate leads on social media, for example, once that 10 minutes is up, close your browser. These time limits help salespeople who overly focus on nonsales activities — like spreadsheets or social media — make more time to prospect. Who chooses the activity goals for reps? Should that be the manager’s job, or should the reps be allowed to pick their own activity goals? Answers to these questions were varied, but boiled down to this: Know your team, and know what your team has to do to get results. Although certain sales teams may be capable of setting their own goals, Purde leans toward advising managers to set the activity goals for everyone. “I notice that different sales people tend to like different activities,” he said, adding that some reps might focus too much on one activity, and not enough on others. Purde said managers should make sure they choose goals that work best for their team, based on their experience and their reps’ experience, and of course, reps will need to buy into the activity goals. But, Purde said, it’s the manager’s job to direct his team and their goals. “It should be a main task for any sales manager to detect what actions lead to result and then get everyone doing them,” he said. Hunter comes down in favor of a manager working in concert with reps to set goals. “I want my salesperson to make their own decisions, so my objective as a sales manager is to develop you to where you can make all those decisions on your own,” Hunter said. He believes that a manager should sit down with new reps and walk them through the process of setting goals that support the team’s goals, but after a rep learns the ropes, he wants that person to be able to choose their own activity goals. Some salespeople don’t need the same goals that the rest of the team needs, but managing those overachievers can be difficult. Purde recalled an incident that happened at the start of his career: he was 21 years old, and had been made marketing director at a telecom company. He was managing a team that included one sales rep who was a headache for him, not because the rep was lazy or ineffective, but because this rep was more efficient than the others. He didn’t add as many deals to his pipeline, but that didn’t matter, because he was closing so many of his deals. “He was very good in sales, but he gave a bad example to others,” he said. The rest of the team decided that they didn’t need a lot of prospects in their pipelines, either. If he had it to do over, Purde said he would set an activity goal for the team, but work with the other rep to create a different goal for him. It’s not enough to tell your team to make 15 calls a day. What kind of calls are they making? It’s important, Purde said, that precise activity goals are set. “I think the biggest mistake most managers make is that when they define those activities, the definition of the goal is too vague,” he said. Take, for example, the manager who decides that everyone on the team must complete 10 phone calls a day. After he tells his reps this, he may notice that reps are all counting calls differently: some are calling old customers, some are calling new customers, and some are counting follow-up calls. Activity goals work best when the activity is specific. For example, the manager may correct his mistake by telling everyone on the team to contact 10 fresh leads a day. Hunter suggests that sales managers and reps drill down and try to understand which specific activities are having the most impact on results. Everyone knows, for example, that to close more sales, a rep needs to spend more time prospecting. But “prospecting” includes a broad range of activities. This specificity extends to tracking those activities as well. Managers shouldn’t overwhelm themselves by trying to count every activity their reps do; they should simply track the metrics that have the most impact on their bottom line. While some sales experts work to result goals and others work to activity goals, it’s important to understand that both results and activities are important. Purde said they cannot exist without each other. Missed Your Sales Quota: Now What?